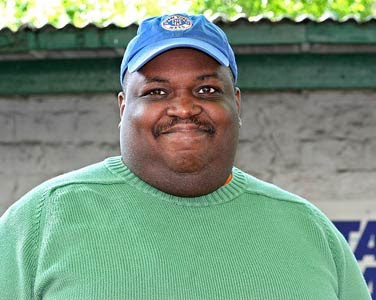 Steven Gilliard Jr., dynamic, controversial, left wing, editor and journalist of The News Blog (one of the top political blogging communities), died at Lenox Hill Hospital Saturday, June 2 after a lengthy illness. He was 42 years old. Steven was a highly regarded journalist, researcher, and historian. However, Steve was best known for his work in the blogosphere as a no-nonsense, in your face, liberal blogger who had cut his teeth while at Netslaves and Daily Kos before he published The News Blog. The oldest child of Evelyn Gilliard (of the home) and Steven Gilliard Sr., (Manhattan), Steven displayed his passion with the written word as a young child and was reading the newspaper by the time he was three. This passion fueled his academic success throughout Hunter Elementary School, Hunter College High School, and New York University, where he received his degree in Journalism in 1989. A caring, generous, and loving son, Steven shared his zest for life with those most important to him. With his mother he shared his political view points and traveled with her often; with his father, an enthusiasm for the Mets, history and model airplanes. These would begin to build the foundation for Steven's his future. A compassionate and considerate brother, Steven was always available to his sisters Valerie and Roberta (both of Massachusetts) with whom he talked often. To his nephews, John, Robert and Ernest and his niece, Erica (all of Massachusetts), he was a terrific uncle, educating them, and treating them as his own children, encouraging their every interest, and supporting them. Their fondest memories of their uncle were their frequent trips to libraries and museums, for being their "walking" encyclopedia that helped with school projects or homework assignments, watching old movies, for their fun outings with Jen, and for cooking with Erica. To Jen, one of his closest friends in NYC, he was Gilly… and she also recalls their outings with his niece and nephew. Gilly was the consummate friend often doing things for people anonymously. If you where special to him, you could count on him. He ran annual fundraisers for those in need and was always ready with a listening ear and a caring heart. His friends were lifelong friends as the gentleness he radiated made you want to be around him. When his health was better Gilly enjoyed his weekly football games, hanging at the barbecues with his many friends. An undaunted Mets fan, Gilly also enjoyed European football favoring Manchester United. Gilly was funny, fearless, fierce, and foremost always himself. Remarks of how Steven touched the lives of bloggers have poured in. Many remark that his is the first blog they read every day. Even those who were vastly opposed to Steven's decidedly liberal political voice, respected his opinions and read him to get their history lesson as his facts could not be disputed. His quick wit and fearless candor landed him on many panels, radio talk shows and the like and he was either thoroughly appreciated or he infuriated many. Either way they came away with more information than they had when they came. Steven was skillful at pulling apart history and military strategy and clearing away the spin to reveal the real truth, which is something not many others are capable of doing. Many bloggers have commented that they waited for his commentary when any major news event took place to get the "full" story. Well known for his attack on Michael Steele (MD Senator, whom he depicted in blackface) and his fierce opposition to George Bush and the war in Iraq long before it was popular to be anti-war, Steven was a door opener for African American bloggers. Many described him as a "hardnosed independent" (Daily Kos) with a powerful voice that supported the values and issues important to working people. His cry "We Fight Back . . ." will hopefully ring in the ear of every liberal blogger as they pick up the reins and try to cut through the news spin to the truth and speak out loud for justice, equality and those things that are important to the common man, like jobs, healthcare, and peace, albeit without Steven's pronounced voice leading the way. "I said what I meant and I meant what I said"
Steven leaves to mourn his loss, his mother, Evelyn, his father, Steven Sr., sisters Valerie and Roberta, nephews John, Robert, and Ernest, niece Erica, two aunts Gertrude W. and Selina L., one uncle Joseph S., his close friend and "silent blog partner," Jen R, and a host of cousins, other relatives, friends, and loyal bloggers. Rest in Peace Gilly … the strife is over now.